Experts say there’s a silent monster wreaking havoc in our bodies. It’s called Itis. In Greek, it means inflammation. Many health experts believe Itis is at the root of many diseases and it can be battled with nutrition. In today’s post, we’ll talk about how to slay the inflammation monster with proven food nutrition strategies. First, we’ll talk about how to attack Itis with anti-inflammatory food sources and supplements. Then we’ll talk about how to shield ourselves, build an alliance, and disarm it with real food. Arm yourself with any of these Omega-3 fats: EPA, DHA, and ALA.
What are their food sources? How can you build your Omega-3 arsenal? DHA and EPA are derived from marine mammals. For EPA and DHA, consume fatty fish like herring, salmon, mackerel, blue fin tuna or take fish oil supplements. If you’re a vegetarian/vegan, it will be difficult to get DHA and EPA in your diet and you may wish to consider Omega-3 supplements. (To see the best Omega-3 options based on independent testing, click here). ALA comes from plant oils. For ALA, eat flax seeds, walnuts and plant oils like flax. Omega-3 enriched eggs have some too. Omega-3s can defeat the lurking monster Itis, before it attacks. Itis hates certain veggies. Why? They shield the heart and brain from Itis attacks. What are the top veggies to combat Itis? Warning: Not all veggies combat Itis. Several veggies – and fruits – actually work for the monster. We’ll get to those next. Strange as this may at first sound, certain veggies are said to be inflammatory too. Itis pals around with some shady characters. What do I mean by shady? Certain vegetables in the Solanaceae plant family are considered Nightshade vegetables. The reason for their name is mysterious. But, what’s not a mystery is their impact on inflammation. This family of vegetables includes tomatoes, white potatoes, eggplant and peppers. Nightshades contain alkaloids that can cause gastrointestinal upset, and may aggravate inflammation in conditions like rheumatoid arthritis and osteoarthritis, headaches, lupus, kidney disease, gout, hypertension, and cancer. Use sparingly to strengthen your shield. But aren’t fruits good? Absolutely! They are loaded with anti-oxidants, including Vitamin C. However, experts promoting anti-inflammatory diets suggest that in a few special cases, citrus fruits should be avoided or carefully monitored. What are the fruits to watch out for? Oranges, clementines, grapefruits, lemons, and limes. Most citrus foods are acidic and can provoke inflammation in people with conditions such as gastroesophageal reflux disease (GERD), arthritis, and citrus sensitivities. Now that we are on watch with nightshades and citrus, it’s time to build our alliance with anti-Itis fighters. The battle with Itis can be won in numbers. The body benefits from many anti-inflammatory forces. The following foods have been found to be allies in the fight against Itis. Onions contain ‘onionin A’ – a molecule that targets the immune system to prevent unwanted inflammation. Garlic contains a range of sulfurous compounds that reduce inflammation throughout the body, plus has antiviral and antibacterial properties. Apple cider vinegar is a good source of probiotics…and has long been used to address a wide variety of inflammatory conditions, including Crohn’s disease, colitis, arthritis, diabetes, colds and flu. Blueberries, raspberries, blackberries, and strawberries are potent sources of antioxidants that combat cellular damage and inhibit the enzymes that promote inflammation. Ginger contains anti-inflammatory compounds called gingerols, which inhibit pro-inflammatory molecules. Pineapple contains bromelain, which reduces inflammation and helps protein digestion. Tumeric can help reduce inflammation associated with inflammatory bowel disease, arthritis, cystic fibrosis, and cancer. Carrots, sweet potatoes, parsnips, turnips, celery root, rutabaga, and beets are anti-inflammatory and anti-oxidant powerhouses. Ready for another way to disarm the monster? Check out strategy 4. Sometimes we can win the fight against Itis by not fighting at all. How do we disarm it? By taking away its ammunition. Trans fats are formed during the process of converting liquid oils into solid fats such as shortening and stick margarine. This process is called hydrogenation, and it also increases the shelf life and flavor stability of these fats. 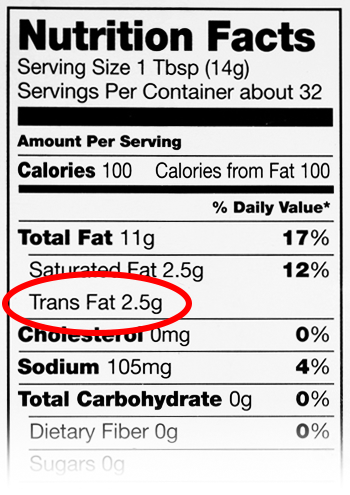 You can find trans fats in foods such as cakes, crackers, cookies, biscuits and you’ll see them hiding in food labels like the one shown below. What makes trans fats so dangerous? Trans fats strengthen Itis to weaken our bodies, namely the heart. Itis loves to use trans fats to attack the heart, both women and men alike. New research from Harvard’s Nurses’ Health Study shows that trans fatty acids are linked to an increase inflammation throughout the body… Even small amounts can significantly increase the rate of heart attacks. A recent 10-year study showed similar results. Men who ate the most trans fats had twice the risk of heart attack. Itis attacks with trans fats. We can disarm Itis by limiting our consumption of trans fats. What’s another way to disarm the monster? Spare the gluten. Gluten-free foods seem like a growing craze in the nutrition world. Why is gluten such a concern? The harmful effects of gluten are well documented with folks suffering from celiac disease, yet, recent research is showing that non-celiac gluten sensitivity may affect many individuals. Gluten consumption has been linked to the production of a molecule called zonulin, which can trigger inflammation in the gut…gluten may promote inflammation in the absence of celiac disease or non-celiac gluten sensitivity. And where does gluten come from? Gluten is a protein found in wheat, wheat germ, barley, rye, and spelt. Gluten can be responsible for brain fog, sinus problems, joint pain, blood sugar imbalances, hormonal imbalances, and skin conditions. Other sources include beer, bread, cakes, cereal, cookies, flour, pasta, noodles, pasta sauce, salad dressings and soy sauce. Despite media reports that gluten-free diets are only necessary for those with celiac disease, the latest research shows that for those with non-celiac gluten sensitivity, consumption may worsen a wide variety of chronic diseases. For these reasons, keep a low to no gluten zone to decrease Itis’ aggression. How Do We Know if Itis is Looming Within? A simple blood test for CRP (C-Reactive Protein) levels. Ask your doc. If your CRP levels are high, inflammation is present. As inflammation increases, so does your CRP. In fact, studies have shown an association between high CRP levels and heart disease. Doctors have used CRP tests for decades to monitor patient care, namely folks with lupus and arthritis. Try your own cause and effect test with a strategy. For example, see what happens when you eliminate gluten for a week. Does a chronic headache go away? Or do you have less GI distress? If so, you may have found your way to disarm the monster. Want to really slay the Itis beast? 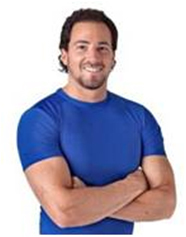 Test all of the strategies to discover your optimal health. Chronic inflammation (Itis) is at the root of many several diseases. To win the battle against Itis, we can employ 4 proven food strategies for optimal health. Go on the Offense with Omega-3s – Omega-3 fats DHA, EPA (fatty fish like mackerel and tuna or fish oil supplements) and ALA (walnuts) fight inflammation. Shield Yourself with Specific Veggies & Fruits – Green leafy vegetables (spinach, Swiss chard) and cruciferous vegetables (cabbage, broccoli) calm inflammation. Watch out for too many citrus fruits (orange, lemon, lime), and nightshade veggies (eggplant, tomatoes, potatoes). Build an Alliance – Anti-inflammatory allies include onions, garlic, apple cider vinegar, pineapple, carrots, sweet potatoes, and beets. Disarm the Monster – To keep inflammation from flaring up, it’s a good idea to limit or avoid products with trans fats and gluten. And test to be sure.